Terminator 2: Judgement Day’s 3D launch has been changed. It’s now hitting where you get your DVDs & Blu-rays from December 4, 2017. 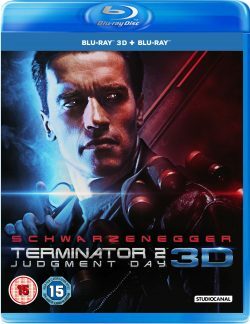 It still includes all the extras that we have mentioned earlier such as the new documentary, T2: Reprogramming The Terminator, that lifts the lid on the iconic and enduringly quotable classic, complete with new and exclusive interviews with Arnold Schwarzenegger, James Cameron, Edward Furlong and many other members of the cast and crew. In addition to this, the Blu-Ray version comes complete with a host of other extras material including Trailers, deleted scenes and feature commentaries.